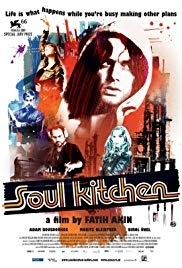 Dir: Fatih Akin, 2009,Germany/Alemania. In Hamburg, German-Greek chef Zinos unknowingly disturbs the peace in his locals-only restaurant by hiring a more talented chef. BS Biblioteca Infantil de Oaxaca. Recommended for those over 15 years old.